These photos of the Washington National Mall were taken on June 16, 2014, on a very hot day. Photos include the Jefferson Memorial, White House, Vietnam Women’s Memorial, Vietnam Veterans Memorial, Korean War Veterans Memorial, Washington Monument, Lincoln Memorial, World War II Memorial, and the United States Holocaust Memorial. My grandfather died during the Japanese invasion of Wake Island during World War II, my father served during the Korean War, and two uncles served during the Vietnam War. To me, these are more than tourist spots. 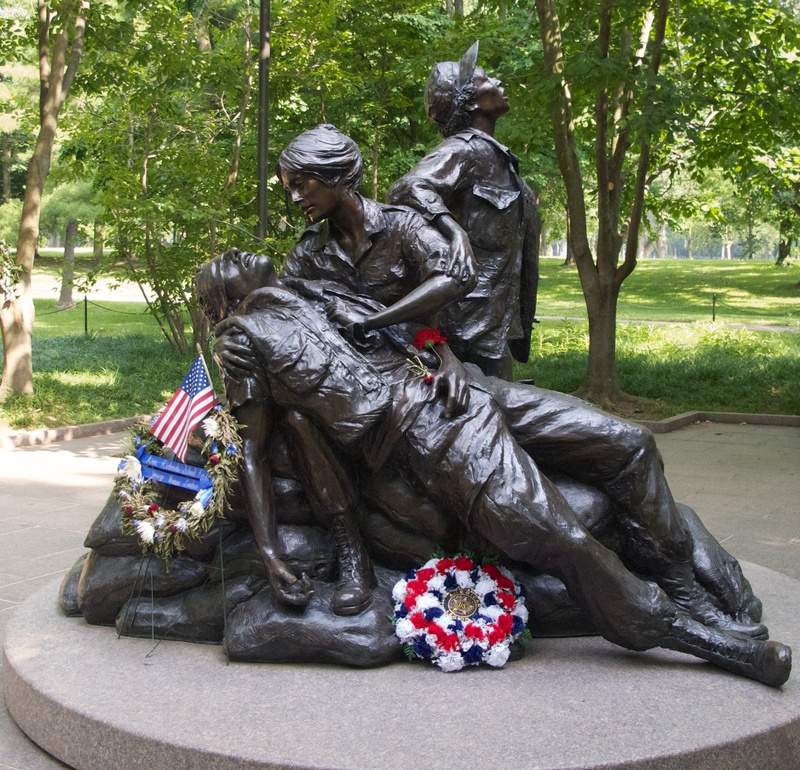 The Vietnam Women’s Memorial honors those women who served in Vietnam, mostly as nurses.